World Alzheimer’s Day 2018 - Healthcare Asia Daily News | Asia's Leading News and Information Source on Healthcare and Medical Industry, Medical Technology, Healthcare Business and R&D, Healthcare Events. Online since 2010. : Healthcare Asia Daily News | Asia's Leading News and Information Source on Healthcare and Medical Industry, Medical Technology, Healthcare Business and R&D, Healthcare Events. Online since 2010. Named after German pathologist and psychiatrist Alois Alzheimer in 1906, Alzheimer’s disease affects approximately 50 million people worldwide, but World Alzheimer’s Day,held on the 21st of September every year, calls attention to the tragic effects of the neurodegenerative disease. Alzheimer’s disease is a progressive and chronic neurodegenerative disease that destroys memory and other critical mental functions. The disease is believed to be responsible for 60-70% of all cases of dementia, the broader category of diseases impacting the brain that cause gradual impairments to cognitive abilities that involve thinking and memories– to an extent that it can affect the daily life of a person. Common symptoms include short-term memory loss, mood swings, disorientation, and language problems later on. Onset for the disease is usually 65 and older. World Alzheimer’s Day is the annual event that raises awareness of the impact of Alzheimer’s disease and dementia. The focal point of World Alzheimer’s Month, first launched in 2012, sees organizations, individuals, medical professionals, caretakers, and others unite to call attention to dementia and Alzheimer’s disease, spotlight issues faced by those suffering from dementia and attempt to undo the stigma and misinformation surrounding Alzheimer’s disease and dementia. 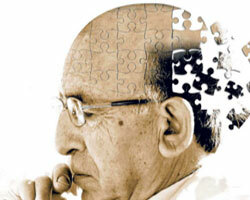 There is no cure for Alzheimer’s disease currently, though scientists have come a long way through various medication and management strategies to help to alleviate symptoms on a temporary basis. Not much is known about the cause of the disease, though about 70% of the risk is believed to be genetic. Other risk factors are believed to be hypertension, depression, and head injuries. Penang Dementia Association will be holding the Penang Dementia Day 2018 on Sept 22 from 8.30am to 12.30pm at The Penang Home for Infirm and Aged at 409, Jalan Masjid Negeri.Themed ‘Early Recognition Makes a Difference’, the event will feature a public talk on understanding dementia.